pixel I Lost my Passport ? What should I do ? 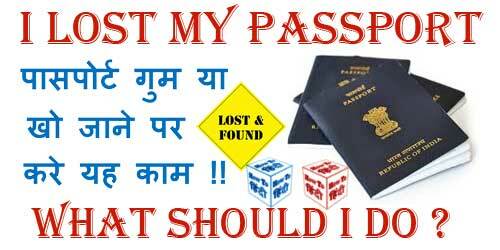 I Lost my Passport ? What should I do ? a. Application in EAP Form 2.
b. 4-6 passport size photograph. d. Police report in original. 1. I Lost my Birth Certificate ! How can i Get a new One ? 3. I Lost My Phone ? Possible Solution ! कैसे खोजे गुम हुए फ़ोन को ! 5. I Lost my Laptop ? How to Track it ? ?